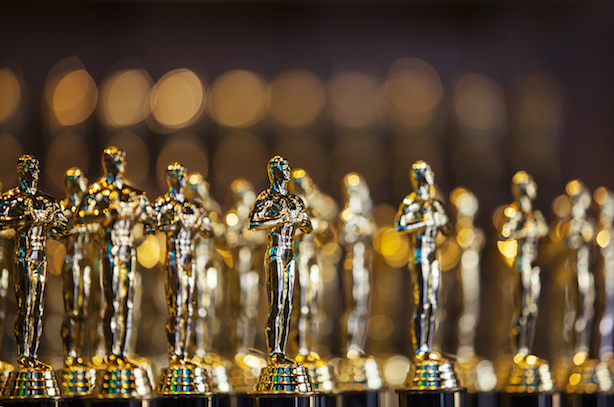 Scroll down for the winners from the first Academy Awards of the #MeToo era and the top news for communicators to know on Monday morning. The big winners at Sunday night’s Academy Awards were Warren Beatty, Faye Dunaway, and PricewaterhouseCoopers for an incident-free Oscars performance. The consultancy and the two screen legends successfully announced the winner of Best Picture last night, making up for last year’s envelope flub (People). Actual winners: The Shape of Water for Best Picture, Frances McDormand for Best Actress, and Gary Oldman for Best Actor (Los Angeles Times). Winners of the pop culture moment: Tiffany Haddish and her dress, Jordan Peele, Rita Moreno, Kobe Bryant, (USA Today) and jet skis (Entertainment Weekly). This isn’t going over well. United Airlines is cutting back on employee bonuses and instead asking staffers to enter a lottery to win a $100,000 check and other prizes. Airline president Scott Kirby called the change "an exciting new rewards program" in a memo to employees (Quartz). United staffers, or at least those posting on the carrier’s Flying Together employee website, are finding it to be anything but that (Inc.). New from PRWeek this morning: How the November Project is using positivity to fuel a growing fitness movement; Across the pond, Portland has hired former Freuds CEO Nicola Howson as a senior adviser. The Mooch has been locked out. Former White House Communications Director Anthony Scaramucci is persona non grata with his former colleagues (or at least Chief of Staff John Kelly). The short-lived one-time top comms aide is on a list of former staffers who are banned from entering the West Wing without special approval (Bloomberg). Scaramucci’s former colleagues probably have other things on their mind. Special Counsel Robert Mueller has reportedly subpoenaed communications including emails, text messages, and other notes to and from then-candidate and later President Donald Trump, outgoing White House Communications Director Hope Hicks, former campaign chair Steve Bannon, and other heavies in the Trump orbit. Mueller is asking for internal comms documents dating back to November 1, 2015 (Axios).